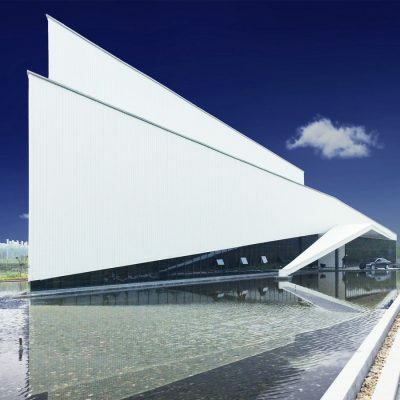 The prototype of the building is from the expression of a surfaced submarine or a sailing warship cut through the water, also like an aircraft rushing through the sky. Architecture and landscape matched with each other to set mirror waters around the architecture, making the whole area more enegetic and active. Also waters reflect the whole architect, creating a unique experience which furtherly express the architecture quality. With a new prominent design method in Architect, the whole volume is a triangle shape together with landscape design to reflect a radial and new pattern that is different from traditional style. 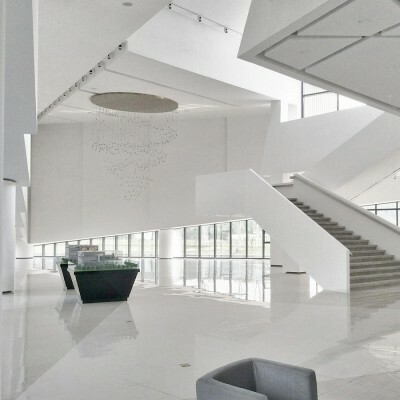 The project started in August 2013 and finished in April 2014 in Tianjin China. The building was constructed using Steel Construction. The building spreads over 2300 square meters. 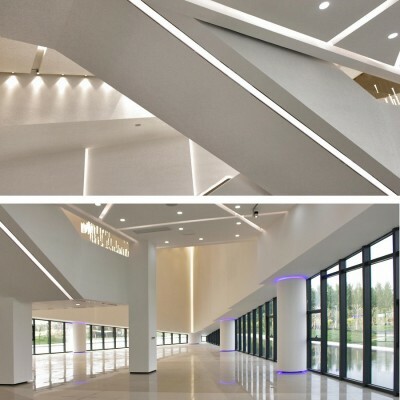 The Exhibition Center owes its powerful exterior presence to clean lines and rigorous simplicity. 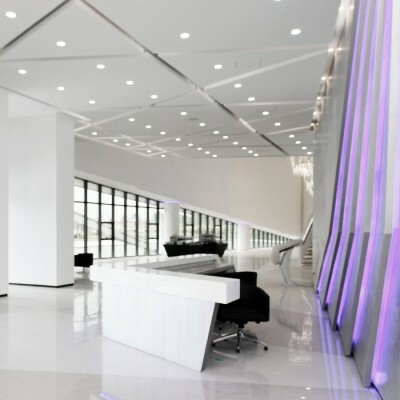 The thick white walls and the triangle volume fur­ther­more reflect the high tech style and recalls the future vernacular. Architecture communicates its ratios, dimensions, colors, textures, and symbols to produce a world in balance. Lin chengfu, Liao zhixiong, Luo quan, Yi liya, Wu fuhua, Tang gangyi. Pacific Telecom (Shenzhen) company limited is a State-level high-tech enterprises, with the Ministry’s Internet data centers, Internet, virtual private networks, Internet access and data storage and forwarding service business license, services intended primarily for multinational companies, Fortune 500 companies and some small and medium enterprises. Currently has 20 service delivery points in a network (POP), in Beijing, Shanghai, Guangzhou and Shenzhen to provide data center services, Internet access services, such as virtual private networking, and cloud computing services. 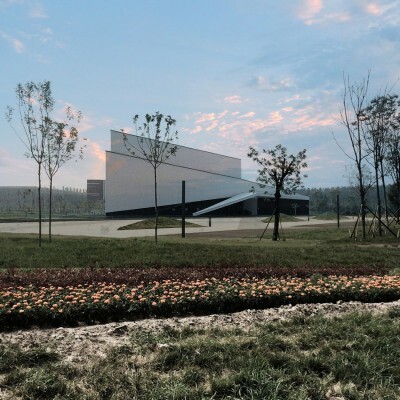 Winner	– Exhibition Center of Idc Tianjin China Exhibition by Unwm Hongkong is Winner in Architecture, Building and Structure Design Category, 2014 – 2015.